Baton Rouge Mobile Home Movers - Best mobile home mover in Baton Rouge, La. 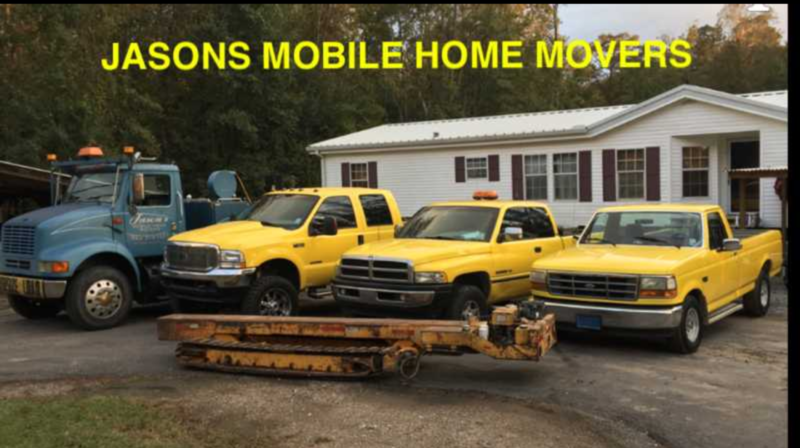 At Baton Rouge Mobile home Movers, we specialize in the careful transportation of your manufactured home of any size. We have over 30 years personal experience transporting manufactured homes. We are licensed, bonded and insured. Louisiana. lic. no. i0097. We service mobile home factories, dealers, finance companies and individual home owners. We will treat your home like our own. We have up to date equipment and the experience to take care of any situation. We are the best manufactured home movers in the Greater Baton Rouge area. 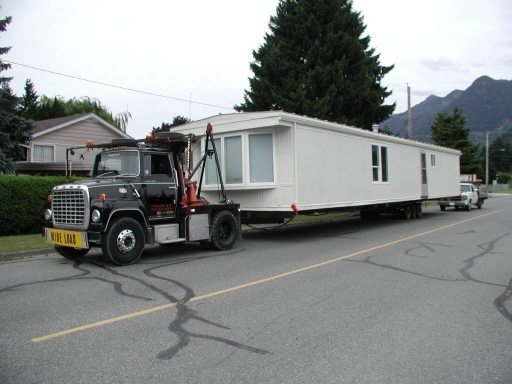 When it comes to moving a mobile home, we are the experts. 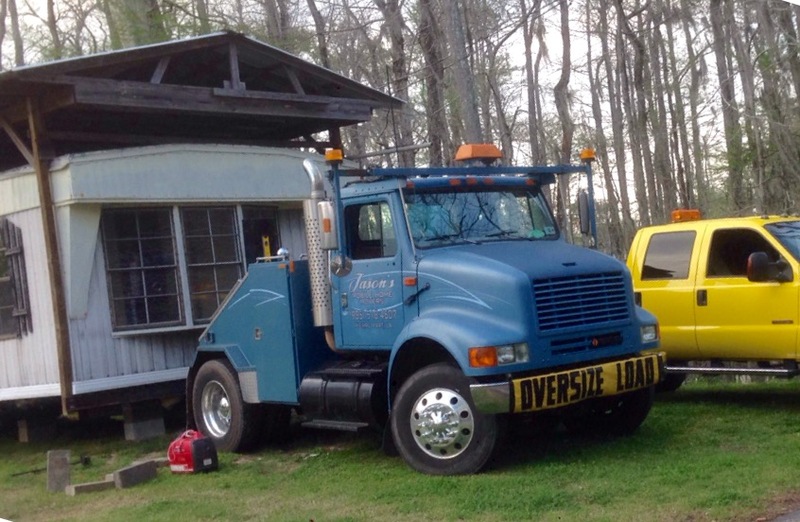 No other mobile home hauler will treat your home with the level of care that Baton Rouge Mobile Home Movers will. If you have a new home coming from the factory, It should be ready to set up on your site. For all mobile homes that are to be moved from a previous home site, all utilities have to be turned off and physically disconnected from your mobile home. This includes all telephone lines, plumbing lines, any cable or satellite dishes must be removed, and of course the electricity must be disconnected. Make sure to contact the electricity provider and let them disconnect the power and remove the meter before having a licensed electrician disconnect the power lines. Do not attempt this yourself. It is very dangerous and can be deadly! If there are any gas lines, make sure your provider disconnects and caps them off. Its best to seal off the gas line on your trailer to prevent any debris from getting in during the move. Any type of porch or carport must be disconnected from the home at this time. After all this is done, the mobile home will be jacked up so that the axles and tires can be installed for the move. The tongue will also be installed at this time. It can be either bolted on or welded on. This what the trailer will be pulled with. Make sure you have terminated the lease with the landlord or property owner. Most will require at least a 30 day notice. There may be other rules if you are in a manufactured home park, so be sure to check ahead of time. A permit may be required. It will be the mobile home movers responsibility to get this. The exterior of your mobile home should be prepared for the move. Items such as exterior lights, or anything that might be affected by high winds should be removed or secured. This includes doors and any loose siding that could possibly get blown loose. Anything concerning this should be discussed with your mobile home transport company. At this point, its time to cut the tie downs that are connected to the anchors that screw into the ground that secure your home during a storm or high winds. If you Have previously lived in the home, then you will want to remove most of the furniture, so that the weight will not be a factor for the move. be sure to remove anything that is flammable. You should remove anything breakable like dishes or anything glass. You should take any hanging clothes down and lay them on the floor. Be sure to take all the pictures off the walls and remove lamps. Anything on the interior of your manufactured home should be secured so that it cannot be damaged during transport. Ensure all interior, cabinet, and closet doors are secure. Make sure to remove the top from your toilet tank to prevent it from breaking. Also, secure bathroom medicine cabinet doors. Any unnecessary weight should be removed to avoid any excessive stress on your home's frame during the move. Remember to secure any glass light fixtures to prevent breakage. Make sure your mobile home transportation company is familiar with the route to your new address and there are no obstacles preventing the home's transfer such as trees , limbs, power lines etc. Mobile home transport insurance for your home is available for a reasonable rate. When doing mobile home relocation, make sure the new site is clear of all brush and debris that may be in the way of the mobile home moving service. Make sure the site is level, and graded properly so there will be proper drainage and no standing water so the trailer movers are able to get in and out of the site. Be sure that the home is able to go along the chosen route, and there are no obstacles for the mobile home mover. Be sure there are no tree limbs or power lines in the way. Have the mobile home transport company representative come out and see the new site and let them know the route. It is best to have your manufactured home on a concrete slab. SLAB- This includes setting a mobile home or manufactured home up on a concrete slab that has been poured the same size as the manufactured home. This is one of the best and easiest situations for the home owner and the mobile home transporter. The main reasons are the home will not sink and the utilities are easily accessible. FOOTER- Less expensive than pouring a slab and most often used on private property, this involves digging a hole about 1 or 2 feet deep at each tie-down spot, and pouring concrete, and having a tie down at each footer . Experience - We have over 15 years experience. Customer service - We want to make sure you are satisfied!